Almost all of us have lived alongside electricity for so long now that we take its safety for granted – you turn on a plug socket with scarcely a thought. We don’t expect it to spark or shock us; the same goes for our toasters, hairdryers, ovens and games consoles. Electrical safety has developed over decades and has taken us from perilous exposed wires and accidents to the security we enjoy now. That said, electricity is still a dangerous force and there are still mistakes you can make that could put you and your family in danger. Here are the four best safety tips you can have, so read them carefully and start putting them into practice. Ask your average fireman for his (or her) #1 tip for preventing housefires and the answer will be to turn things off when you’re done with them! This is especially important at night, so get into the habit of walking around the house and turning off the plug sockets for TVs, games consoles and lamps, for example. Repeat – never overload sockets. You should only use one plug for every socket, ideally. There are safe adapters which also have fuses, but the output of all the plugs in the adapter should never be more than its rating. 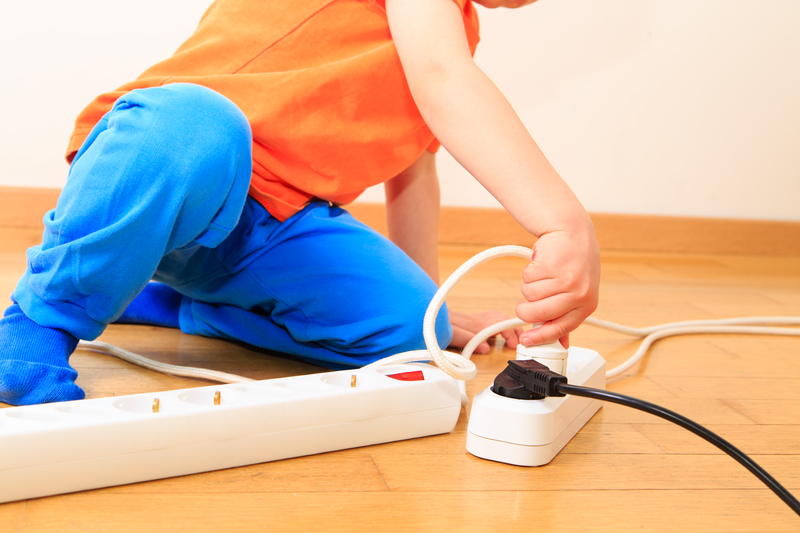 You should examine plugs, sockets and wires on a regular basis, especially if they’re located somewhere out of sight, and replace any frayed wires or damaged plugs. If you’re suspicious about a socket, call in an electrician and never let wires run under carpets as it’s impossible to monitor them. This means you should never handle electrical appliances or turn on plug sockets with wet hands; you should also avoid placing cups of tea or other containers on top of appliances. Many of us place cups on top of stereos or microwaves without a second thought, but if some liquid is spilled into the appliances it can cause a short circuit.